"Blues, rock, soul, funk, reggae, psychedelic, "The Bookends" is an essential record for all groove lovers"
A phenomenon. Everyone who has seen Eric Gales on stage says the same thing. This guy's a phenomenon. A prodigious guitarist who plays like a left-handed on a right-handed guitar. This is for the anecdote. Because the truth of his music is elsewhere. It resides in this sense of the undefinable rhythm that makes you want to tap your foot from the first note: it is called the groove! Some guitarists spend a lifetime looking for that famous groove that makes all the difference. Eric Gales breath it deeply since his birth in Memphis, Tennessee, the cradle of blues, soul and rock and roll. By signing with Mascot in 2017, Eric Gales wanted to give a new boost to his career. A successful bet and a deserved success with the excellent "Middle Of The Road" placed fourth on the Billboard Blues list. And yet the American is far from having said everything because "The Bookends", his sixteenth studio album, is even better. In ten tracks, each more inspired than the next, this new opus alone solves the oxymoron of modern blues. However, "The Bookends" is not strictly speaking a blues album. It is far too eclectic to be confined to this style alone, and that is what makes it so modern. In this sense, Eric Gales is indeed the heir to Jimi Hendrix, his main influence since the beginning. And he does not fail to pay tribute to him with the two psychedelic rock instrumentals that open and close the album, "Intro' and "Resolution". If the music of Gales is based on blues foundations, as shown by the magnificent "Southpaw Serenade" in duo with Doyle Bramhall II and the blues rock "Something's Gotta Give" with B-Slade, it breathes above all the pleasure of playing and the will to confront itself with all the styles in which its unique groove can be expressed. From heavy rock 'Reaching For A Change', reminding that Eric Gales was part of the great Pinnick Gales Pridgen band, to reggae 'Somebody Lied', all the musician's science, his exceptional guitar playing, his syncopated bass playing, his warm soul voice are based on rhythm. For the most funky tracks ('Watcha Gon'Do', 'It Just Beez That Way'), groove is a matter of course. For others, however, it's a challenge because even a rock ballad composed by Eric Gales stands out with a swinging bass line ('How Do I Get You'). Never really where we expect him, Eric Gales also knows how to surprise with a powerful and emotional cover of the Beatles' song, 'With A Little Help From My Friends'. In duet with Beth Hart, this classic among the classics sounds like the fantasized union of Jimi Hendrix and Janis Joplin and reflects with modesty on Eric Gales' past who probably would not have survived his drug addiction without the support of his entourage. Blues, rock, soul, funk, reggae, psychedelic, "The Bookends" is an essential record for all groove lovers. 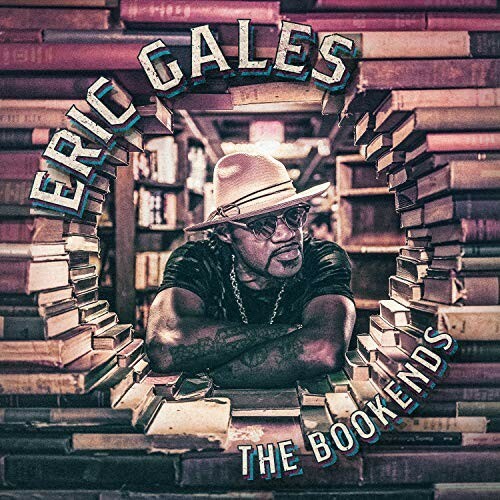 Eric Gales is not only a phenomenal guitarist, he is first and foremost a great musician and he proves it by offering us his best album to date.